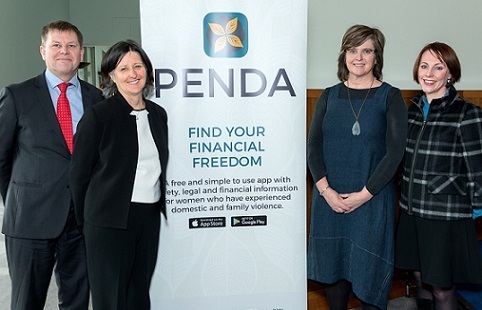 Penda App Launch at Parliament House, Canberra. 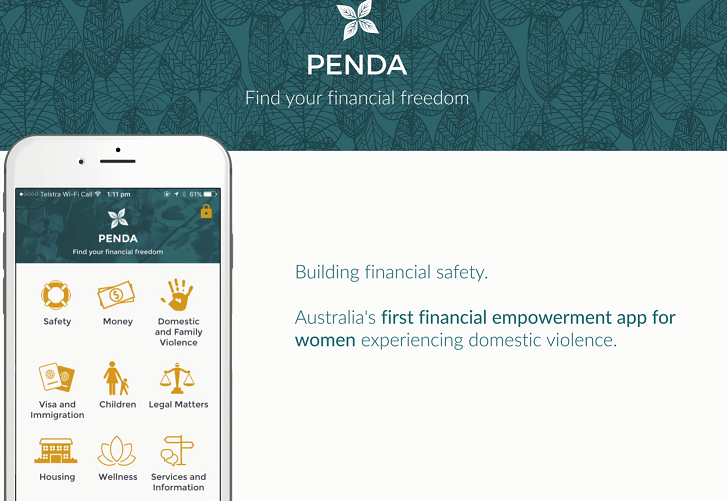 The FREE Penda app is helping women across Australia experiencing domestic and family violence avoid poverty, empowering them with the tools they need to leave a violent relationship. Financial abuse is a common form of domestic and family violence. It is estimated that 80-90% of women who seek support for domestic and family violence experience financial abuse¹. Perpetrators undermine victims’ financial security and independence – often trapping them in abusive relationships. Financial abuse may involve limiting your access to money, controlling your money, or stopping you from earning. This free and simple to use app combines vital safety, financial and legal information as well as nationwide referrals. Friends, family, workplaces and support people can also use Penda to help others. App Ambassador, financial abuse survivor and now a financial planner, Hana Nataprawira, said access to information would have made a huge difference to her situation. “My husband was very controlling. He gave me an allowance for groceries and I wasn’t allowed to spend money on anything for myself. I didn’t know that there was all of this help out there. Penda would have made a huge difference to me,” Hana said. 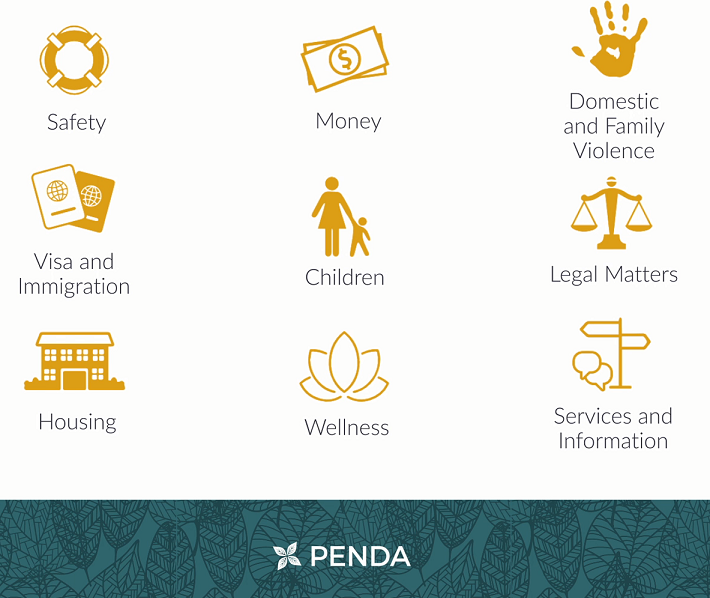 Penda includes practical information including financial safety planning, tips to access emergency money, crisis payments, and emergency housing. Penda also helps women prepare and protect their finances moving into the future with tips to safeguard assets and manage debt after separation or divorce. Essential legal information on topics including domestic and family violence orders, child support, parenting, property settlement, and visas and immigration empower women to make informed decisions. Safety is paramount. The app warns users to consider their safety before download and throughout, giving them other options to find information. Penda also features a lock screen game that is easily accessible by tapping the icon or shaking the device, and an optional passcode setting to open the app. Penda provides information on risk factors, safety planning, and the safe use of technology. Women’s Legal Service Queensland CEO, Angela Lynch said financial security is a key element in ensuring women’s long term safety from violence. “Financial abuse is insidious. Many women we speak with from all walks of life don’t even know it exists. They don’t have the words to describe what’s happening. And their partners exploit that,” said Ms Lynch. 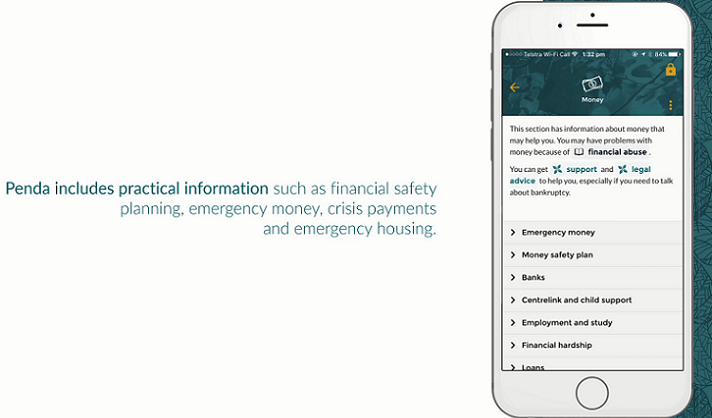 The app was developed by Women’s Legal Service Queensland in collaboration with Financial Rights Legal Centre with funding from Financial Literacy Australia. A national communication campaign was made possible with funding from CUA.